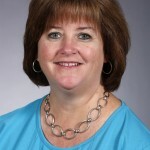 Guest blogger Mary Weinand, Human Sciences Specialist, shares some important helpful ideas for fiscal health this holiday season. Each year at Holiday season we are flooded with articles and advice on how to “stay healthy” with all the choices we have and the opportunities to overindulge. Well, the advice we hear to maintain our physical health is useful for our fiscal health as well. This is a great time of year to take the opportunity to share healthy financial choices with our children. Discuss things your child enjoys that are free, such as playing with a friend or going to the library. Teachers report year after year that it is not the toys their students remember but the time they spend with their families. The card games and puzzles, the snowball fights and family meals are important healthy financial choices. A good book on this topic is, “Alexander who used to be Rich Last Sunday” by Judith Viorst. You can talk to your child about all the ways Alexander used his money and more importantly …was he happy with his choices. Many health advisors remind us to manage our portions to minimize over indulgence. 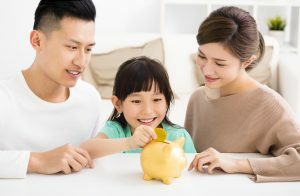 This Holiday season take the opportunity to think about ways we can talk to our children about spending plans. How much money do they have and how do they plan to spend it when buying gifts for the family. Remind your children about added expenses like taxes and work with them to think about ways to stretch their dollars. Show them how to comparison shop and emphasize the gift of time. Promising to rake leaves and shovel driveways would be greatly appreciated by many family members. A good book to read together is, “Sheep in a Shop” by Nancy Shaw. Ask your child if it was hard for the sheep to decide and how did the sheep solve the problem of not enough money? For more ideas or book suggestions about money, refer to the “Money as You Grow Bookshelf” by the Consumer Financial Protection Bureau. Additional family finance resources available here.